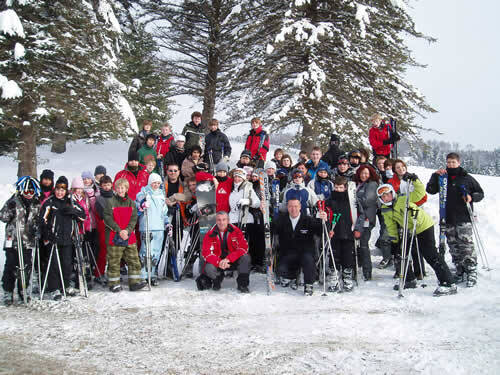 The Commodores Inn welcomes ski groups of all ages. Stowe is the “Ski Capital of the East”, thus making it the perfect destination for your group experience. As a group, you’ll get special savings on lodging, lift tickets, rentals, and lessons that you can’t get when booking individually. We will gladly order your lift tickets for you and have them waiting for you at the Inn at arrival. The Commodores Sports Lounge is the perfect place to grab a bite to eat and unwind after a long day on the hill! For those who prefer snowshoeing, Stowe boasts one of the largest, most diverse trail systems in the United States. There is something for everyone with 150 km of perfectly groomed trails to miles of backcountry trails. Our staff is always happy to assist you with your touring plans.